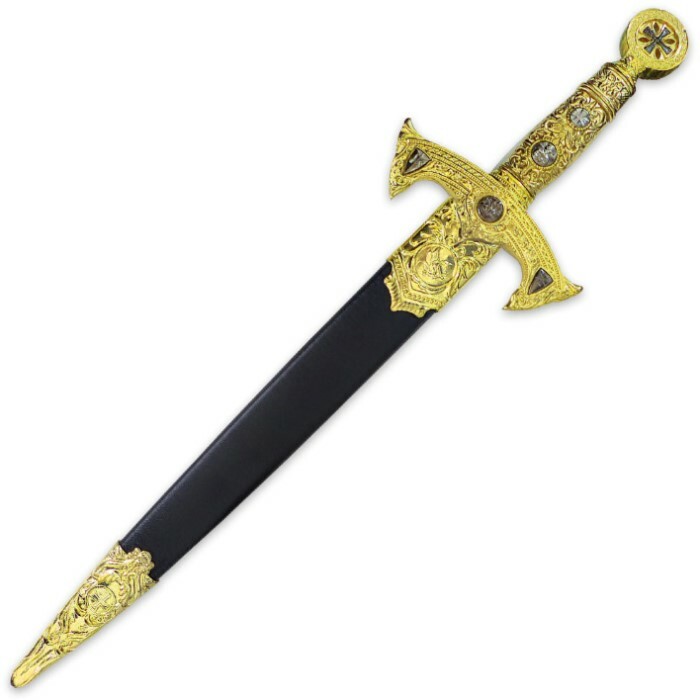 Enter into the mysterious realm of the Knight's Templar with this ornate medieval short sword. This King's Gold Plated Edition is a new limited-edition version of the Knight's Templar Short Sword. 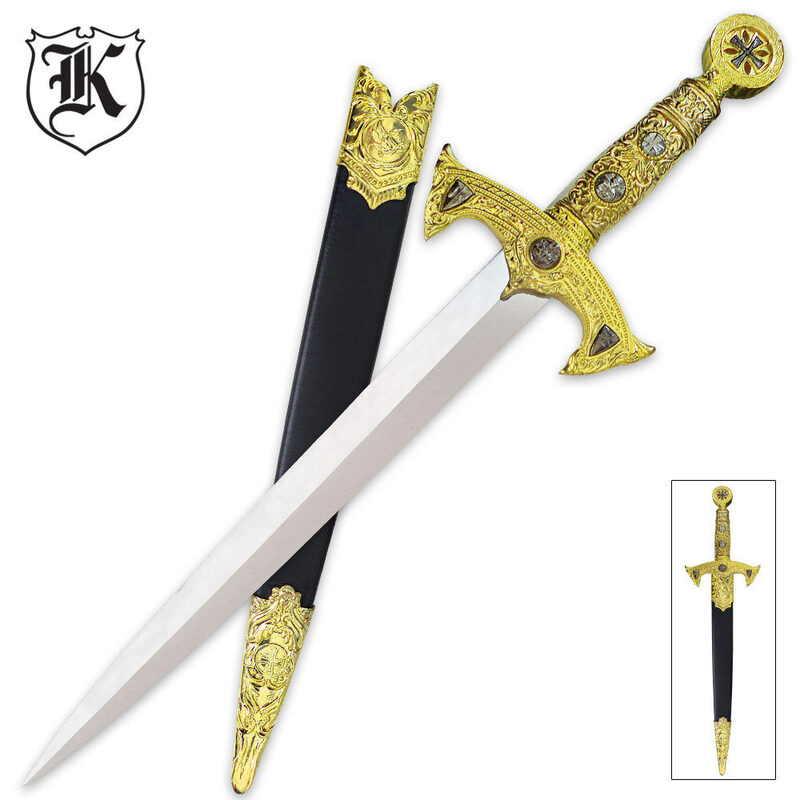 This replica sword measures 22" overall and offers a 14 1/2" stainless steel blade with a mirror-polished finish. The gold plated metal handle, guard and pommel are intricately cast with a myriad of secret heraldic symbols from the code of the Knight's Templar. Includes a coordinating scabbard with gold colored metal tip and collar. Top quality. Couldn't find anything wrong with it. Came razor sharp, and goes good with my King Solomon dagger and sword. Quality workmanship through out. Even has stitching in the scabbard. Would love to see more like these. Looks and feels like it would be worth a lot more than $20.